Something very special begins on Saturday the 2nd of December at Horkans Turlough, Castlebar. Children can post their letters to Santa in our Special Santa Post Box which will be ready for their Santa letters. 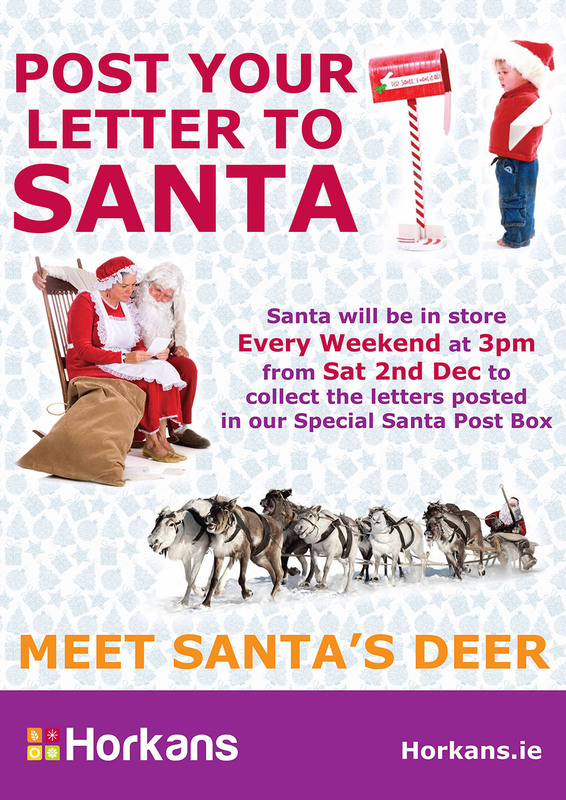 Santa will be making a special appearance to collect all their letters every Saturday and Sunday at 3pm from Saturday 2nd December through to Saturday 23rd December. This year parents or guardians can ask to receive a special reply from Santa. Also returning by popular demand this Christmas are our wonderful Santa's Deer. Visitors of all ages will be enchanted by these beautiful animals so come along and say hello before they have to take off on some very important business! We look forward to seeing you very soon to share this magical experience.